“God, give me one thing today to make this day significant.” I found this handwritten prayer in a blue folder when I had been working in the Women’s Division library fifteen years ago. I was helping on a research project, looking around for a scrap of paper. The sentence was beautifully written in formal script. On the folder was a woman’s name, let’s call her Esther. “Who was Esther?” I asked another of the older women, let’s call her Bee, at lunch time. Bee and I launched into a discussion about electroshock therapies and if they worked, which I’d heard they did, simply because they caused a convulsion. I’d read the body, in extreme cases, needed a seizure to restart or reboot. Still, electroconvulsive therapy was horrific. Esther’s life and her handwritten note stayed with me. Her quiet desperation, her prayer, her desire for significance — I have felt these too. The note reminded me that we have no idea what anyone else is going through. 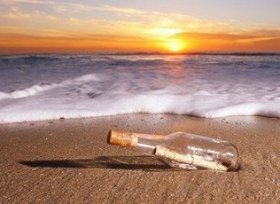 Once in a while, we find a clue, like a message in a bottle washed to shore, that someone wants their life to have significance. Someone wants one thing to show that this day, this life, matters. Just one thing.